Posted this at a forum filled with warmists apologists, will be interesting how they react to this. Will post this post at another forum as well. That will help spread the good news……. Seems like everyone is agreeing with you …… apart from the first poster, who is getting a right royal roasting. I never a get a beating in the linked forum because they are very deep into the twilight zone. The good guys win one for a change. This entire climate fiasco has been one giant projection where the activists are concerned, whatever diabolical beast they made the so called big polluters out to be they were actually it all along. Considering the politics driving it this should never have come as any surprise. Just the activists? Aren’t our leaders in agreement with the very same environmentalists who want to stop us using fossil fuel of any kind ASAP by way of renewables and electric cars? Who do you think put those leaders into office? No better example than the dopey environment Minister Josh Frydenberg pushing in “The Australian” today the nonsensical idea of instituting a “carbon-emissions” target of 105gmsCO2/km for motor vehicles. Even the label “carbon-emissions” is wrong. The Turnbull government is the dopiest government since Gillard’s corrupt one, and possibly even worse, because it purports to support Australian businesses. Clearly it doesn’t. That’s just another piece of its propaganda. If Toyota and Ford don’t jump-start these idiots then they deserve everything that happens to the motor industry. Australian business (especially the tradies and farming sectors) live on the reliability and longevity of Toyota Hiluxs. I wouldn’t raise your hopes too high. PeterS perhaps enablers would be apt? either way anyone who pushed or profited from this insanity should be ashamed as it could’ve been avoided with the application of basic reasoning. Second thoughts basic and reasoning don’t feature with some individuals. It all comes down to accountability – real scientists will debate the science, liars will try and shut down the debate coz they have something to hide…. Adults or kids …they all shuffle their feet and look at the ground when they are fibbing…. While this case of Justice finally being asserted is very welcome, it brings to mind a point brought out by one of the speakers at the recent Sydney conference. It was said that planning and compliance costs for businesses working on new projects were gigantic. Red tape and bending the knee to the new god of environmentalism meant enormous costs and I suspect often ignored many very real pollution issues. Certainly business needs to be kept in line but the false modern god of environmentalism has done nothing for the environment and weakened real environmental protection. This ruling seems to indicate a return to common sense. There was mention of the much more realistic US justice system. This could be building. I wonder if those Hollywood identities might be called on for the balance of the $38 million after the fraudsters have been wrung out? I wish I could be confident this is all fair and aboveboard. When you look at Ok Tedi and Freeport, who benefited? Remember when Chesapeake Energy were shelling out tens of millions to Sierra for Beyond Coal? They only stopped when the likes of Greenpeace, possibly jealous, blew the whistle. Hunkering down for the failed UN/IPCC/Turnbull Govt global warming doomsday in style. also in a recent thread we had a study that ranked US zip codes by wealth, No1 being an gated island development in Florida. Apparantly wealthy folk arent convinced about the accelerating rise of the acidic, boiling, plastic particle soup oceans. I read the article. The funniest thing about that is that Bill Gates bought a house on the island, and he’s one of the main advocates of sea level rise and catastrophic global warming. I think some of the “supporters” of CAGW and the impending flood of seawaters are actually just trying to score some prime real estate from the gullible and worried. I don’t see the elites buying up land in the northern reaches, mountain tops or inland areas above the flood-plain. Nope, they are all buying coastal and river-side properties. As I look out my window at the beach and coral sea it has not changed in any perceptable way in 50 years, the beach is where it’s always been, the water level is the same as it has always been. Zero apparent change observed … putting away floaties and hiding my VHS Marine Boy videos. Sea level rise is like the second-coming—the no-show of your life tme. Yes, it’ll happen, but on a geological timescale. Cue next epic global kerfuffle. Actually all the Second Coming believers have it wrong: it’s already happened. 1. First Coming: born in the manger, died on the cross. 3. ergo everyone yearning for His Second Coming are actually yearning for a Third Coming. That’s why it’s taking so long … and hasn’t happened yet. Actually, the second coming will be very public and from the clouds. It will also during a period of unprecedented historial extreme turmoil on the planet. Did anyone see him go up into the heavens? Eye witness reports would be useful. Without eye witnesses or a body we can’t print this story ….. oh wait, somebody has already done it. Don’t you need a horse for that? The presence of Christianity which we experienced in the community sixty years ago has gone; to be replaced by the culture of “grievance” and victimhood which has led to uncertainty, which has led to exploitation by a corrupted leadership. In brief, Christianity is in operation when two or more people agree on the set of rules, the Ten Commandments would be a good start, and follow those rules and agree that their behavior should be judged according to those rules. There should also be punishment commensurate with the break made to those rules. At the moment, we have so many rules and sub rules, it is hard to know what is right and what is wrong. Politicians take advantage and we become enslaved with the added negative that our nation is spiraling downwards and to a poor future. Time that we reacquainted ourselves with the essence of “good behaviour” and insist that our leadership sets the example and ensures that everyone follow. A pipe dream unlikely to be seen in our lifetimes. Unless the lights go out, and people finally get the message that our future lies with who we elect. KK nice insights, also consider the motivations of both, Christianity promotes self improvement and forgiveness where the Culture enforces false moral causes and fear of retribution from the masses. The Godhead has been replaced by a base mortal fear offering no positive choices. Who needs the environmentalists when we have both major parties in unison destroying our coal fired power stations and who already have destroyed our oil refinery industry? The real message in all this is that the actions of both major parties have shown they are in fact in total agreement with the environmentalists on the broader issues. One does not need a PhD to understand that environmentalists hate coal and oil so much their primary objective is to force us to stop using them. Anyone who votes for LNP or ALP+Greens is in that camp because there is a nothing more important and more critical to the health of Australia’s economy than our reliance on both coal and oil. Without either this nation’s economy would collapse in a heartbeat. Yet voters keep going to the polls and voting booth supporting them in great strength as though they are the only parties they can vote for. Voters either don’t care or don’t bother to open their eyes and see what’s happening. The only conclusion any critical thinker can possibly come to is that voters by and large are just mindless fools. The next federal election will either prove beyond any doubt that is a fact or voters will have woken up by then and vote accordingly as a protest to what the major parties are doing. It’s now all up to the voters and no one else. The buck stops there. All the excuses under the sun will not change that. We are not like China where popular high-ranking and information rich websites are blocked. If we as a people can’t be bothered to use such information to make informed decisions then we get what we deserve. I agree with you PeterS..but we cannot do any form of protest vote that really counts. The minor party that I vote for..The Liberal Democrats for instance..will always give their preference vote to the Liberal party. The only way is a large third party to restore our energy policies and throw out all the garbage. Until that happens..we are stuffed..
You and I suspect most others misunderstood me. Sorry I wasn’t clear. Yes you are right about the traditional form of a protest vote. It’s of no value since under our preferential voting system they end up with one or the other major party. What I’m referring to is the exact opposite. Under the very same system of voting if enough voters support the same party then that party will win the seat (obviously) regardless of the distribution of preferences. So imagine if in the Senate the ACP, which is the best if not the only real party to support our cause, obtained a landslide support and obtained the majority of seats. Yes I know it’s impossible in a half Senate election but even then they could manage to gain so many seats the government will have no option but to listen and abide to the energy policies of the ACP simply because the government would realise the Senate would be representing the wishes of the voters loud and clear. Again I know that will not happen but that’s my point. The voters don’t rate the energy situation (oil as well as power) very high and in fact they rate it very low otherwise ACP would be far more popular by now and eventually would achieve a significant hold in the Senate. That’s how our democratic system of electing governments can work, and if the people were awake it would work very well. Unfortunately, the people are not awake through their own fault so we end up with the mess continuing, until the only other event happens that will wake them up; crash and burn. Of course there is the hope the so called ginger group in the LNP make their definitive move to oust Turnbull provided they put in place a leader with the same energy policies as those of the ACP otherwise it would be a total waste of time and like moving the deck chairs on the Titanic in which case it would be just an act of vengeance, which never achieves any worthwhile results. The masses have been brainwashed by sophisticated propaganda and its up to us to educate them. Cory knows CO2 doesn’t cause global warming and should make it the main plank in his platform, for obvious reasons, this is the root cause of mass delusion. So his views on energy polices are not enough? You are being very unfair and illogical. He is in total agreement with our views on coal fired power stations and renewables. It appears you dislike him for whatever reason. As for the masses, they are supposed to make informed decisions and not believe everything they see or hear on MSM. How do you think Trump won the election despite the extraordinary MSM bias? Cory is the closest thing to Trump wrt energy polices and a couple or so of other issues. Yet you treat him as if he’s a lefty. We should all vote for him to give him a go, not expect him to walk on water and perform miracles. He is far from perfect but he is far better than the likes of Turnbull, Shorten and even Abbott. So please stop being critical of him. At the moment he is our only real hope of a change on energy policy in Australia. Its a Republic and Donald is charismatic, running on a platform of bringing the jobs back home. Cory cannot emulate his achievements. When Cory first came back from America I supported him, but now that he is being ‘white anted’ it maybe time he had a chat with Tony Abbott about returning to the Liberal fold. Or at least joining Abbott’s Monash Group. Good point Sam, it would be a perfect fit, assuming its not just a Coalition cubby house. In other news, Maurice Newman pokes the ABC in the eye with a burnt stick. Gullibility. People without specialist knowledge in any area are easily taken in by anything plausible, especially consistent plausibility. Being lied to is not easily accepted by the victims and so skillfully crafted propaganda is difficult to reject. For some strange reason, hubris plays an important role, too. If the Big Lie blames human kind’s activities, like “the burning of fossil fuels” or Atmospheric Atomic testing” or “Man-made refrigerants (CFCs & CHCs) or Man-made herbicides (Glyphosate) or Man-made insecticides (DDT) or “Man-made Global Warming or Climate Change (man-made climate variation) or Witch Craft creating crop failures, rain, hail, and cold with very little, or without any, evidence except for occasional correlative relationships, then the Big Lie is more easily believed. Mankind has been, is and will for a long time to come, basically Superstitious. Anything which might be going wrong (or said to be wrong) must be Our Fault. Have we actually learnt anything of any value from these repeated social paroxysms? The repetition suggests we haven’t improved any. We still suffer from extraordinary popular delusions and the madness of crowds [free pdf], so the politicians can’t be totally excoriated. Their knees jerk to the puppeteer’s strings as most of ours do most of the time. How many of you have written to your pollies? To your newspapers? To the TV channels and made your points of view politely, correctly and supported by undeniable evidence? If you haven’t, now’s the time to start. And once you start, keep it going. Goebbels knew most of that. Here are his policies on energy. I challenge Abbott to go as far as Cory on these matters. He needs to flesh this out, a short paragraph would be fine. Why? I thought it was obvious given the context. People might be fools but they are not completely stupid. We know exactly what he means, but the average voter has no real interest in politics and large numbers would stop voting except that its compulsory. The ancient Greeks reckoned if you didn’t vote then you’re an ‘idiot’. So all I can suggest is that he becomes fully acquainted with climate change, through the proposed scientific Blue Team, then he can lead the charge with the Monash ginger group struggling to keep up. On the road to the next election he would be vilified by the media (which is better than being ignored) but if Donald could do it then so can Cory. As I said before he is far from perfect but he’s the best we’ve got and in time he will improve. Of course he can do more, lots more. All I’m saying is ACP needs all the support we can muster to break the nexus. Otherwise, we are just you know what in the wind. By the sounds of it you won’t be voting for him if you can. Probably won’t run in my electorate, the Nats have a strong hold on it. The new ACP candidate in Queensland is Lyle Shelton who opposes “political correctness, gender ideology and social Marxism”. Do yourselves a big favour and introduce him to LFTR—he’s talking old-fashioned dangerous LWR technology. Australia could lead the world in modern nuclear technology, so why bother with the old-fashioned stuff? If Cory floated a candidate in the Riverina area of NSW or FNQ, I think he’d clean up. People who live outside the big urban centres live in the real world, and see the BS for what it is, but have no one to vote for to drain the eco-swamp. Cory – if you are reading this, get yourself a candidate in country NSW main regional areas at a minimum. Run candidates (note the plural) for the Senate in all States/Territories. And he needs to start tapping into the coal companies and the motor companies (Toyota/Ford) and fuel companies for funding. He needs big money. Big money to run a massive anti-propaganda campaign. He has to change the emotional attachment to the “feel-good” lie of Turnbull, Shorten and the enviro-fascists. One seat in the senate can hold the balance of power. They dont give their preference votes, you do. They just dish out how to vote cards, nobody needs to follow them. True. I was going to say that as well but I wanted to make my point as clear as possible. Either voters are awake and vote accordingly to support a party that’s on our side and in the end wins the seat so that party can have a real influence on the government, or the voters stay asleep and keep voting for the parties that are against us. It’s that simple. Everyone should just take a few minutes to think about it. But they change the voting rules to make it easy to vote ‘above the line’ and harder to do so below the line. Who knows what the Respect party really stands for, let alone some of the more obscure ones like the Motoring Enthusiasts party?
? The rules changed from marking all boxes below the line to a minimum of 12. That seems easier to me. Maybe you find it hard to stop? After working in poling booths before I can say that the majority, like 100:1 or worse, just put a number 1 in the first box and ignore the rest. I got surprised when I saw someone filling out every box in the ballot. If voters can’t vote properly what use is it even placing anything on the ballot paper. No wonder this nation is going down the plug hole. Any Party that forms government on the basis of minimal insertion into my life will get my support.Realistically, I’m on a losing run on that.There is little to enthuse about democracy as it is;disinterested ,apathetic and clueless are the people. We asa nation bumble along spending huge amounts of money for largely inefficient outcomes.Think defence procurements and spending on Health and Education. Indeed. It’s a shame to see how the people abuse our democracy, which on paper (ballot as well) has the opportunity to make the necessary changes but for whatever reason, and there are a number of them no doubt, we abuse it and waste away the vote. Defence procurement. Now there’s a good one. Diesel submarines that won’t be available until 2031. Oh, I wonder if dopey Frydenberg’s “Carbon-emissions” target of 105grmsCO2/km will be the next piece of stupidity in that area? What’s even more stupid is we have to import the diesel. So in a war situation we probably won’t be able to fuel them. What the??!! Stupid is as stupid does. Imagine of the US had to import their fossil and nuclear fuel to run their submarines. The person who would suggest that would be fairly and squarely put in their place, possibly behind bars as well. She will be, with a bit of luck. Well, at least for 20% of it, anyway. Crooked is as crooked does. So I look forward to the same ending to all the leaders who support the CAGW scam, who are in fact doing what the environmentalists want. Talk about irony. I was reading some interesting research into water dissociation ( to produce hydrogen ) using microwaves and UV. Once that tech gets up, who cares about CO2? That’s one reason why the leftists chose to point the finger at CO2 and not water vapour, which as it turns out has a much greater influence on the climate. They can’t cast their spells and witchcraft at water vapour since it’s so important for life here on earth but so is CO2. It’s much easier to claim that CO2 is bad but water vapour is good when the fact is both are critical to supporting life. We all know how the leftists claim CO2 is a poison, which of course it’s not, no more that water is a poison just because people also can die in a pool of water by drowning. Using their dumb logic everything is a poison so let’s ban everything including the air. Many people would have lost money in that, I wonder if they have any recourse against this environmental terrorist (I am a tired of them being called activists). An interesting read. Moylan got off lucky, he’d be very sorry if I was judging his case. This Moylan character is not at all sorry for his deception and hints that he’ll do something stupid again. There are now too many of the big players hitching their wagon to the global warming fraud, for a few quality blogs, & even tens of thousands of informed people to stop it. We do have one large ally, Sol the giver of all warmth himself. It appears he is about to have a bit of fun at the greenies, lefties & other conspirators expense. If he continues in his current spotless direction, we are all going to feel his little jest at the global warming scam. It won’t be good for my hibiscus bushes, but a few more winters like this last in the northern hemisphere, & the number of easily duped in the general public will diminish quite rapidly. Nothing like freezing cold to stop a belief in global warming. Seriously, isnt the key word “actor” ? do they really think they will personally be aligned with every character they portray? This is like the BS Baldwin put out on his angst about playing Trump on Saturday Night Live. Just more ego centric preening and virtue signalling. Why would anyone expect honesty from ‘environmentalists’or green activists ? No different to our political masters. After all they also agree with the environmentalists that we should curtail our use of coal and oil with the view to replace them with renewables and electric cars. We may have to work with green activists in the future and some politicians have their own agenda. This is clever satire. Correct. It’s just a lot of bull dust. Katter wants a space rocket launching pad in his electorate, so he’ll have to get the right energy mix to make his dream come true. Proximity to the equator is a big asset. As Joh Bjelke-Petersen knew, but the commentariat didn’t. The Australian / American consortium want to build a rocket pad across the Gulf in the Northern Territory. Beijing might get a crack at the Queensland launch pad, but it could be too sensitive. Correct so it should be called “Score 2 for Chevron”. This guy appears to know a lot of the history behind the story going back a long time: Chevron Ecuador Lawsuit: Steven Donziger Fraud Leads To Him Footing the Bill In Litigation I have not verified his statements but I have no real reason to doubt them either. So did Donziger or anyone else do any jail time for his part in this criminal activity? According to the link to the video I just posted above but is in moderation, he has carried out a number of illegal acts but as far as I can tell he has not been imprisoned for any of them. Might have mates like,say in high places. Shintons? Maybe. The Green environment monster has a wide grasp. Meanwhile with the evil of oil companies like Chevron proven, our Federal Government is secretly planning to force everyone into little electric cars..
As CO2 translates straight into litres/100km and if you wilfuly forget that our electricity really comes from coal, nothing less than a small hybrid or totally electric car will satisfy these new requirements. Even a small Toyota Corolla 4 1.6 litre cylinder driven sedately is 50% over this new limit. So a huge carbon tax again, this time on new cars and as evil as the RET. We no longer make cars, so all new cars are to be seriously punished with taxes, pushing the cost of all cars up $5000. So expect to take half a day to charge your little Toyota hybrid. Like lunchtime solar, an impossible load on a system and in fact, more CO2 by far than petrol cars. Wind driven cars. This is YOUR government planning to make you suffer more and pay much more for a new car. You see, the people of Australia are the problem. They are changing the Climate in China and the US and Europe. At least the people of Canberra are good caring Green people, wind driven. By giant hot air driven propellers in parliament where Malcolm and his appalling Green banker friends are plotting the demise of our quality of life. Green, the colour of money. Now petrol produces 2.3Kg of CO2 per litre. So the new taxation target of 105gCO2/km is 10.5kgCO2/100km or a maximum of 4.6 litres per 100km. This is the new Federal benchmark to trigger another big carbon tax on cars. All to save the climates of the world and prevent sea level rise and more hurricanes by controlling CO2 levels. The only thing true is that your government run by Canberran public servants is planning to make you ride a Chinese bicycle to work in winter. Meanwhile the Chinese are driving new high performance petrol cars. Again, you have to marvel at how devious this is. The framers of these taxes talk in grams per kilometer. Why? Consider that if they said 4.6litres per 100km, you would know it was an impossible, an outrageous ripoff. Correct, but the green Occultists always lie…its in their religion….. Yes, I would wonder how the canberra public servants will react to having to ride a push bike to work in -5C winters as the CO2 taxes are punative so you cant own a car…..unless of course The Cause is providing free electric cars but without the grid capacity to charge them. You have to marvel at the climate change pushing globalists – deceived-by-the-Devil fools, one and all…. When an elected government decides to implement changes impacting on society they should consult their constituents. I am one who is fed up with the adverse impact on our sovereignty by United Nations unelected officials and their compliant locally elected officials. I still believe the award to chevron (payable by Donziger) should have been $18 billion, or $9.5 billion whichever was the final verdict against chevron. The disparity is embarrassing. Plus damages. Because he won’t pay, I think one year in prison for a million is okay. I do not understand how a judgement made in Ecuador about the Amazon can be overturned in California. In any event, good luck in getting anyone to pay anything. Apparently the Amazonia company was registered in Gibraltar. The US law declared the Ecuadorian judgement corrupt. And isn’t Donziger a US citizen? The company Amazonia is part of a ‘web of obscure entities’ to launder the winnings. This one was setup in the British Overseas Territory of Gibraltar (South of Spain), presumably as a Spanish friendly distant tax haven far away from Ecuador or California. Amazonia Recovery Ltd. (“Amazonia”) was setup in Gibraltar specifically to receive and distribute funds that the co-conspirators hoped to obtain from the corrupt Ecuadorian judgment. Most would call that money laundering. Companies also use the Isle of Mann, Jersey, Monaco, Lichenstein and other small countries to make life difficult for money chasers including taxation. Australians like Malcolm Turnbull prefer the Carribbean islands. The people behind the “corrupt” judgement have been found in a separate US Federal court to have “engaged in extortion, money laundering, wire fraud, Foreign Corrupt Practices Act violations, witness tampering and obstruction of justice”. That’s a good list. Read all about it on the chevron site. This judgement is in Gibraltar against a company which will likely have no money anyway. It is probably a worthless shell set up to launder the proceeds for the criminals, so the judgement is worthless. Unless the money has already gone there, in which case it will have left and the chase is on. Either way, the company will be wound up overnight by the Ecuadorian legal firm which created it. The Steve Donziger story reads like an overwrought Hollywood script…until you reach his actual 2009 movie “Crude” (ironic title?) which was to promote the case and reality leaks out. Shooting outtakes in which Donziger worries about his fraud being discovered and discusses bribing the Ecuadorean judge were used by Chevron in the NY trial. Google “Donziger” + “crude” to see the clips. Donziger managed to bring about the collapse of the senior Washington law firm Patton Boggs and intrigued me with the murky world of “Litigation Financing” where financial institutions bet on the outcome of legal cases. Burford Capital Group, the London based litigation financer sold on a chunk of the Donziger play to amongst others, Scottish Widows and IMF in Australia, as the practice is not legal in the US. Only Fortune and Forbes seem to have had much interest in following this case…for some reason. Would make a great movie. So I expect these guys are going to prison for a decade, or so, soon? You wouldn’t just award damages for that, and let them off with a severe frown? Now what could send that to moderation? Most every word you quoted, particularly fraud. And using all of them in a sentence was like throwing a pallet burly overboard to the automatic burly detector. You have to catch them first. This is international crime, like most Green schemes. 26 May: Forbes: Solid As The Rock of Gibraltar: Coup De Grâce To Ecuadorean Lawfare Against Chevron? I hope Chevron Corp. will be able to recover the damages it has been awarded in Gibraltar, but that’s far from certain. The news I still await is that of the New York State Bar Association, which I understand has been investigating Mr. Donziger. 1 for the US Court decision on Donziger’s fraud. 4 May 23, 2018, for the decision of the Ontario Court of Appeal which upheld the dismissal of the action on motion for summary judgement. The appellants will undoubtedly seek leave to appeal from the Supreme Court, but leave is unlikely given the factual situation. The appellants first sought compensation for the environmental devastation through a class action in the United States. Texaco opposed that action, not on the merits, but on jurisdictional grounds. It was successful and ultimately the appellants commenced a new action in the Ecuadorian courts. There followed an eight-year trial and two appeals. 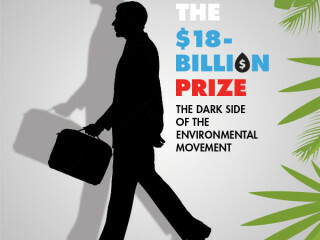 The eventual result was a $9.5 billion USD judgment against Chevron Corporation. The United States District Court for the Southern District of New York (“S.D.N.Y.”) accepted Chevron Corporation’s submission. In a comprehensive judgment, the court detailed a litany of fraudulent behaviour, not by the appellants, but by their counsel in the Ecuadorian proceeding. The court made an order enjoining any enforcement proceedings of the Ecuadorian judgment in the United States. That decision was upheld on appeal. Having had no success in enforcing their judgment in the United States, the appellants commenced the present action in the Ontario Superior Court of Justice. The enforcement targets this time were the shares and assets of Chevron Canada Limited (“Chevron Canada”), a seventh-level subsidiary of Chevron Corporation, with its head office in Calgary. After a jurisdictional challenge by Chevron Corporation and Chevron Canada that was ultimately rejected by the Supreme Court of Canada, the parties agreed to determine by means of a summary judgment motion the issue of whether Chevron Canada’s shares and assets are exigible to satisfy the judgment debt of Chevron Corporation. Chevron Corporation and Chevron Canada were successful on that motion. On appeal to this court, the appellants advance two primary submissions. First, they argue that the Execution Act, R.S.O., 1990, c. E.24 (the “Act”), permits execution on Chevron Canada’s shares and assets to satisfy the Ecuadorian judgment. Second, and in the alternative, they submit that this court should pierce the corporate veil in order to render Chevron Canada’s shares and assets exigible. The legal arguments advanced by the appellants cannot succeed. Ecuadoreans should really go after their own government. Steve Donziger etc. should be pushed out to sea. Yes that’s the message I got from that guy’s YuoTube I posted earlier. It appears Donziger went after the wrong culprit. It was Ecuador who is to blame for it. I suppose some people don’t know their right from their left. … “But few know that dotted around Magnetic Island, just 70km north, there are another 20 shipwrecks that have great tourism potential that has remained largely untapped. One of those is the City of Adelaide which ran aground at Cockle Bay in 1916 while being transported after sale. Just 300m offshore, it’s possible to wade out to the wreck during a low tide — however few visit it. In 1912 the coal caught fire and the City of Adelaide burned for two days. Three years after the fire, a Magnetic Island businessman named George Butler purchased the ship with a plan to refit her as accommodation for tourists, or as a breakwater in Picnic Bay. Kinda brings to mind the report of Uranium being detected in a mudpit or bunded containment at a CSG/Frac well site in Northern NSW. Did anybody ever get to the bottom of whether that “detection” was real or even natural or just a a really convenient scary story? That statement demonstrates Shut the Gate‘s ignorance or its ethical turpitude. Don’t they know that a fracked well is cased through the strata? And their numbers are plucked from thin air, ’97% of people’ is a classic example. Yeah, they get the 97 from everywhere. I come from the land around Narrabri and can say the majority of people are pragmatic on the subject of CSG extraction. Some landownwers are not.There is alot of outside agitation going on’Others conflate the issue with open cut coal.That being said the old guard of cocky is heading with the sunset and being replaced by younger, indoctrinated generations. No nous I have to say.All beaut new clobber but no dirt on their hands.Big hats and no cattle.Sorry Randy. This fact also makes last week’s hearing notable for a second reason. The longer that it moves forward, the more unprecedented that it becomes in its own right. As the co-Executive Director of UCLA’s Emmitt Institute on Climate Change told the San Francisco Chronicle last week, similar cases “have not gotten beyond the motion-to-dismiss phase,” meaning that they have all ultimately been dismissed rather than allowed to move forward. While the Oakland and San Francisco lawsuit has not yet broken that threshold, the judge is clearly not ready to dismiss it at this point either. At last week’s hearing, Chevron’s legal team reiterated the argument that Congress and the executive branch take precedence over the federal common law of nuisance. The cities, on the other hand, have requested permission from the court to directly respond to the U.S. government’s recent amicus brief, and the response will undoubtedly take a dim view of the legal arguments that it presented. The one aspect of the lawsuit that both parties seem to agree on, as indicated by Chevron’s lawyer in the quote above, is that its success would create a very different regulatory scheme for the oil and gas industry than the companies have operated within in the past. The fact that the plaintiffs’ argument has been adopted by a number of municipalities on both U.S. coasts as well as inland locations indicates, as I wrote last week, that climate activists are sending a message to the Trump administration in particular that similar lawsuits will become widespread if the White House does away with the U.S. Environmental Protection Agency’s “endangerment finding” on greenhouse gas emissions. I fully expect Oakland and San Francisco’s response to argue that a judicially-created regulatory scheme is required due to the federal government’s lack of substantive action to mitigate climate change following the Trump administration’s decision to end the Obama administration’s Clean Power Plan. Both sides see the same outcome if the lawsuit is successful even if they view that outcome’s merits very differently. Disclosure: I am/we are long XLE. The drier and warmer-than-average forecast this winter is a mixed bag for Australia’s ski resorts, potentially bringing heavy snow later in the season in a repeat of 2017 conditions. “Snowfall is difficult to predict over long timeframes, but the dry outlook for June suggests a later-than-normal start for the snow season,” Jonathon Pollock, a climatologist with the Bureau of Meteorology, said. Warmer-than-average winter days and nights could make retaining snow more difficult, but dry conditions are ideal for snow making — even if conditions are warmer — according to Sophie Webber from Falls Creek in Victoria. “Dry conditions mean you can make snow at slightly warmer temperatures above zero. But the colder the better, and we hope mother nature brings plenty of cold weather to balance out the snow making,” she said. Bill Barker, head of Ski Patrol at Mt Hotham in Victoria, said he was not too worried about the dry prediction. Some resorts extended their ski season by an extra week last year, and Falls Creek’s Sophie Webber said she also hopes for a repeat this season. “Last year in September we cracked two metres [snow depth], and we closed in October with 1.5 metres of snow still on the ground,” she said. Killing the country one eco-cut at a time….. Lets keep it in perspective – its a lump of bird-poo covered rock in the middle of the ocean…. “The community of Christmas Island could face an economic collapse after a proposal to expand the island’s phosphate mine was knocked back over fears of the impact to the island’s wildlife, including its world-famous red crabs. Phosphate Resources Limited has been mining on the Indian Ocean Territory for more than 100 years, but claims it needs to clear more crown land to access new deposits in order for the operations to remain viable. The American prohibition period from 1920 to 1933 when alcohol was banned is the parallel today of the green and climate change adherents attitudes towards the law, the moral and ethical standards of society, the rights of others who do not believe as they believe and the welfare and respect towards their fellow man..
A couple of quotes which draw some striking parallels to the Prohibition period. In this quote you can see the ideological fervour driven by an equally disaster predicting religious fervour similar to that that produced the Prohibition period in the USA and in some European nations resulting in the banning of alcohol in the USA. Compare that with and today’s equally religious fervour that drives the green and Climate Change ideology and its demands to drive out coal and other society dependent elements, the newest eco-nazi atempts to inflict Electrical vehicles on everybody regardless of the utter impractibility of such a course of action with todays technology and the longer term effects and consequences on society with what is now a major factor in our civilisation, the ability to transport of goods and services and people on a mass scale from having any role in our society. By the turn of the century, temperance societies were a common fixture in communities across the United States. Women played a strong role in the temperance movement, as alcohol was seen as a destructive force in families and marriages. In 1906, a new wave of attacks began on the sale of liquor, led by the Anti-Saloon League (established in 1893) and driven by a reaction to urban growth, as well as the rise of evangelical Protestantism and its view of saloon culture as corrupt and ungodly. In addition, many factory owners supported prohibition in their desire to prevent accidents and increase the efficiency of their workers in an era of increased industrial production and extended working hours. You can see the parallels in thinking in the implementing of the banning of alchohol during the Prohibition period and the parallel thinking and ideology today of the demands to ban the so called “Carbon”, known by its correct chemicals description to those of a far more honest and thoughtful intellect as CO2 or “Carbon dioxide”. Prohibition led to the rapid rise of the Mafia in the USA. The Mafia of course hauling bootleg liquor across state borders from states that never enforced the Prohibition to States that did, all at a huge profit to the Mafia. The Mafia specialised in thuggery, murder, threats, shake downs of business, fr??? ?d, false witness , protection rackets, cross border illegalities, the pedalling of influence in return for lucrative money in brown enevelopes, shifting and hiding of vast amounts of money, the outright and blatant corrupting of political figures and the society’s institutions and etc. So what is so different today with the green and climate change movement as it slips ever further down the very same slippery slope towards gross criminality, thuggery, false witness fr—-d, witness tampering, deliberate destruction of industrial equipment in forests and oil fields and coalmines and in plant development nurseries, the shake down and threats towards big business, the corrupting of governments as in Ecuador and thats just one government , money laundering on a grand multi billion scale , all of which is so evident in the attempts of the green and climate change movement to shake down the Chevron oil company and then to quite F—dently launder the proceeds of the illegal.f—dulent shake down of Chevron through the Gibraltar banks. About the only moral and ethical inhibition the green and climate change movement still seems to have at the moment is that they have not yet had any deliberate murders pinned specifically onto them. But as they continue their rapidly increasing slide down that very slippery moral and ethical slope towards a mafia like psychology where there is little in the way of moral restraint on the participants and given the extraordinary numbers of death threats against skeptics and those whom challenge the greens and clmate change activists and the complete lack of any response ormreigning in ofmsuch threats being made on the social media against those not in the green / climate change mafia families , it seems it is only a matter of time before those innumerable death threats become another reality and another morality free facet of the greens and climate movement’s unsatisfiable lust for total all out power. The consequences for society if this morality and ethically free attitude and the increasingly criminality of the green and climate change adherents as we see with Donizinger and his supporters is allowed to persist will , like the mafia of the prohibition era, take a couple of generations to return a semblence of those essential to the functioning of society attitudes towards tolerance and respect for both persons and the laws of the land.. The social and moral costs of reigning in the increasingly uncontrollable Mafia trending tendencies of the greens and the climate change adherents gets higher and higher each day that goes by without government, .lawyers and media beginning to speak out and take direct action against the perpertrators of the increasing criminality of the rabidly radical greens and climate change adherents. The media is reading the Daily “Gosh” for news and hasn’t noticed yet. When they notice, it’s embarrassingly late to report, and they’ll go into cut damages mode. They’ll report, eventually, that Chevron won its case against environmentalists over pollution in Equador, giving false impression that Chevron polluted and that the Donziger fella was an environmentalist in the first place. The Big Oil, you know, is not a victim. Victims can be women and children, people in the third world, natives to a place if they are a minority, refugees and immigrants of colour, [SNIP "groups we are not allowed to discuss" thanks to 18C], paperless people (even if burnt their papers in an aeroplane to get an asylum), poor people (even if poverty was caused by pretty selfish motives), people in the death row (oh yes, this is a cool case), drug abusers, alcoholics, people who could not care less, people who like throwing stones between demonstrators, people who do illegal activities in the name of greater good, people who mutilate themselves, tattoo themselves, or just dress in a queer way, people who are not straight white men. So basically straight white Christian non-criminal employed men with wife and children (people considered the ‘norm’ in this discourse), and companies/organizations which have straight white male image are the only ones that may not be victims. But you all knew this already. •Former New York Attorney General Eric Schneiderman alleged Exxon withheld information about its internal climate change discussions and misled the public about what it knew. •Exxon has long denied the charges. He said he was not sure if Exxon attorneys have talked to Underwood or her office. “I’m real confident on where we stand. I hope whoever comes in steps back and takes an objective look … and comes to a different conclusion,” Woods said. “The fund cannot support board directors who refuse to acknowledge substantial risks to Exxon’s bottom line and fail to help it transition to a lower carbon future,” DiNapoli said in a statement. All 10 board nominees were approved by Exxon shareholders. Green bonds are another avenue for redirecting institutional capital into environmental projects. The industry has soared from non-existence just over a decade ago to global issuance of $US163 billion last year. So can we afford to wait or do we take extraordinary measures to cool the planet? The Australian has today published an opinion column by former ABC Chairman (2007-2012) Maurice Newman, headlined “Climate propaganda parades as science on your leftist ABC”, in which he reaches his familiar conclusion that “justification for public broadcasting (is ceasing) to apply”. Unfortunately, on his way there Mr Newman makes a litany of incorrect and misleading claims concerning the ABC, journalist Michael Brissenden, Four Corners and the 5 March Four Corners report “Weather Alert”. Maurice Newman: This disregard for perception, let alone reality, was apparent when the Australian Communications and Media Authority upheld a complaint ruling the ABC had breached its impartiality rules with an unsubstantiated and opinionated attack on former prime minister Tony Abbott describing him as “the most destructive politician of his generation”. Rather than apologise, the ABC has not accepted the verdict. Maurice Newman: This was one of many exaggerated examples of so-called climate change. Perhaps none was worse than the blatant perpetuation of a false Bureau of Meteorology announcement that at Penrith on January 7, the Sydney Basin recorded its hottest day. The bur­eau, with lightning speed, ­corrected the record to acknowledge Richmond in 1939, but the ABC chose to ignore the correction. Mark M: Monday morning, and ABC24 breakfast is still running with the headline, leading some updates. Tweet: Benjamin Law: 6 Jan 2018: Hello everyone, I am pleased to report the city is on fire and the planet is boiling. Tweet: The Sydney Morning Herald: Sydney has recorded the hottest day in 158 years of records with the mercury reaching over 47 degrees in Penrith. Tweet: ABC: Sydney has reached its hottest day since records began reaching 47.1 degrees Celcius in Penrith. The previous record was 47C. Penrith in Sydney’s west has reached a top of 47.3 degrees Celsius, the highest temperature recorded by a weather station in the Sydney metropolitan area in 79 years. response to ABC’s response to Maurice Newman has gone into moderation. Former Environmental Protection Agency (EPA) Administrator Gina McCart is leading a newly launched center at Harvard University that will focus on climate change and policy. McCarthy, who served under former President Obama from 2013 to 2017, will lead the university’s Center for Climate, Health, and the Global Environment (C-CHANGE), first introduced Wednesday. In her role there, the former EPA head will help the center, which is part of Harvard’s T.H. Chan School of Public Health, ensure that government and business officials have access to the best science to help them understand current health and environmental challenges. McCarthy, along with Janet McCabe, former acting assistant administrator for EPA’s Office of Air and Radiation, wrote a scathing critique of the EPA’s current chief, Scott Pruitt, in a New York Times op-ed in March, warning that his crackdown on certain scientific studies could have long-term damaging effects on the agency. Bloomberg unhappy, even when they appear to win! President Donald Trump wanted more U.S. solar manufacturing — and now he’s getting it. Hanwha Q Cells Korea on Wednesday said it will build a factory in Georgia. JinkoSolar Holding Co. of China is planning one in Florida. And U.S. companies SunPower Corp. and First Solar Inc. say they’ll boost production in Oregon and Ohio. The expansion underscores how immediate the reaction has been to the tariffs Trump imposed on imported panels in January to spur domestic manufacturing. The duties could increase production capacity in the U.S. by at least 3.4 gigawatts, compared with 1.8 gigawatts at the end of last year, and would add to even more capacity already planned, based on Bloomberg New Energy Finance data. It remains to be seen whether these factories will create the jobs Trump is after, but analysts say his policies are having a clear impact. In a Wednesday interview on a Washington Free Beacon podcast, Pruitt said many of the most high-profile spending or ethics controversies involving him in recent months, like those involving his $43,000 secure phone booth and his frequent first-class travel, have been the fault of career staff. “Some of the things that have been in the media are decisions made by career staff, processes that were at the agency that there weren’t proper checks and balances. So I’ve actually made changes at the agency,” Pruitt told the conservative news outlet, pointing to a recent memo that asked three of his top aides to review any expenditures made on Pruitt’s behalf costing more than $5,000. But he said the political left and other opponents of his aggressive deregulatory agenda are also at fault, an argument he has put forth previously with other right-wing outlets. “This has been a bastion of the left for many years. This agency has been a safe haven in advancing against certain sectors of our economy,” he said. Asked if he remains in good standing with President Trump, Pruitt confidently answered in the affirmative. “I think he’s [Trump] been very consistent there. I mean, he’s spoken very strongly and very consistently about our relationship and the work we’re doing at the agency,” Pruitt said. ***are reporters reluctant to put their names to negative wind stories? The cause of the fire is unconfirmed despite some locals suggesting the turbine may have been struck by lightning. 31 May: BusinessStandard: ANI: Is climate change responsible for lightning-ignited fires? Huh. Quick, someone store this map before it disappears or gets altered. Credit ratings agencies are now accounting for climate change risks in their ratings of credit worthiness. This could incentivize climate risk reduction efforts if it allows organizations access to cheaper credit. Karl Mathiesen investigates the extent to which this is happening in practice. Now we need about 10,000 more and in the U.S. courts to make it something big…whopping big. I know, someone else said it first but it’s still appropriate. It tells exactly how I feel. But, but, but… you’re ALLOWED to use ” half-truths, outright lies, and … fake evidence and witnesses” in defense of The Environment! This would be the same Chevron that knew about climate change some 40 years ago and decided to rather spend money on denial and obfuscation than addressing the reality?